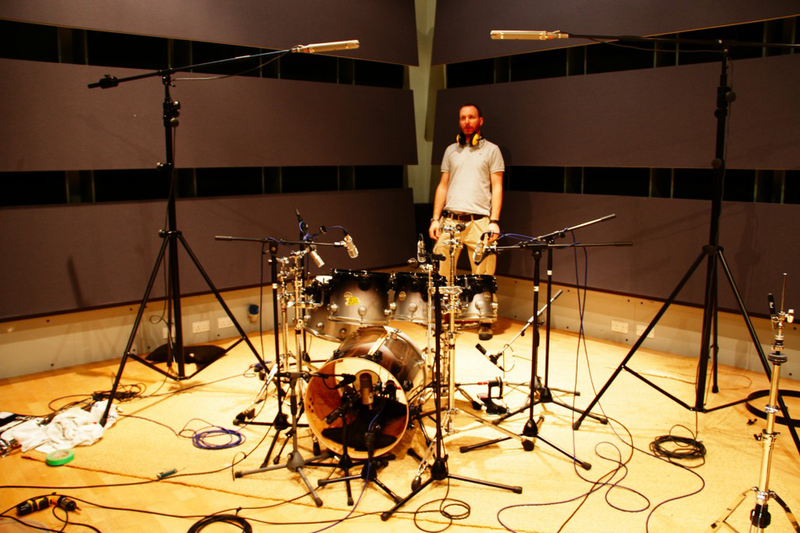 4D Sounds have teamed up with Sphere Studios to record the first in a series of dynamic drum sample libraries. Sphere Studios is one of London's finest with a long-standing reputation amongst industry professionals.The session was engineered by studio owner Francesco Cameli who has worked with an extensive client list that includes the likes of Queen, Phil Collins, West Life, Gary Moore, Bullet For My Valentine, New Model Army and TesseracT. Martin Oldham (clients including Maroon 5, Keane, Elton John, Killing Joke and Razorlight) was also on hand as drum tech for the session. 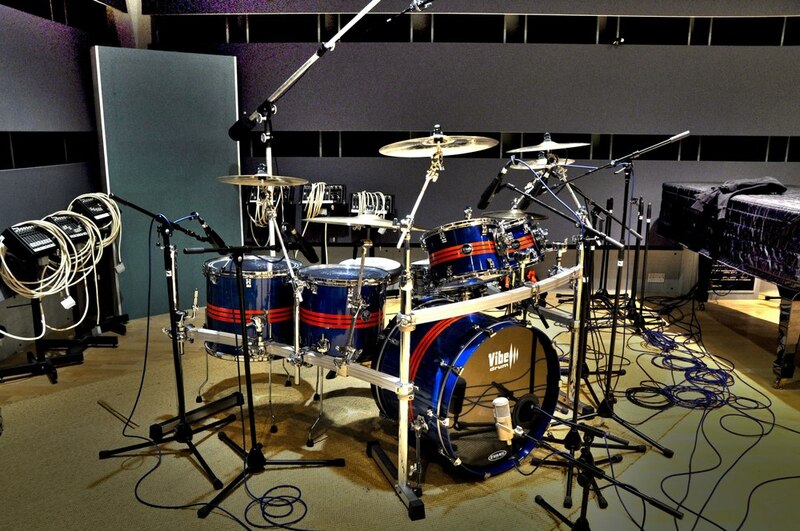 Together they ensured that the drums were set up to be enriched by the outstanding acoustics of Sphere's live room. This combination of precision and expertise added enlivening levels of depth and detail to the samples in a strive to create a clear and unique overall sound. Behind the drum hits were Jamie Postones (TesseracT) and Mike Malyan (Monuments). Both drummers are highly skilled and well respected for bringing a new force to modern drumming. Edited and co-engineered by Tesseract founder Acle Kahney, these samples are a delivery of his personal ideal in drum sound production. 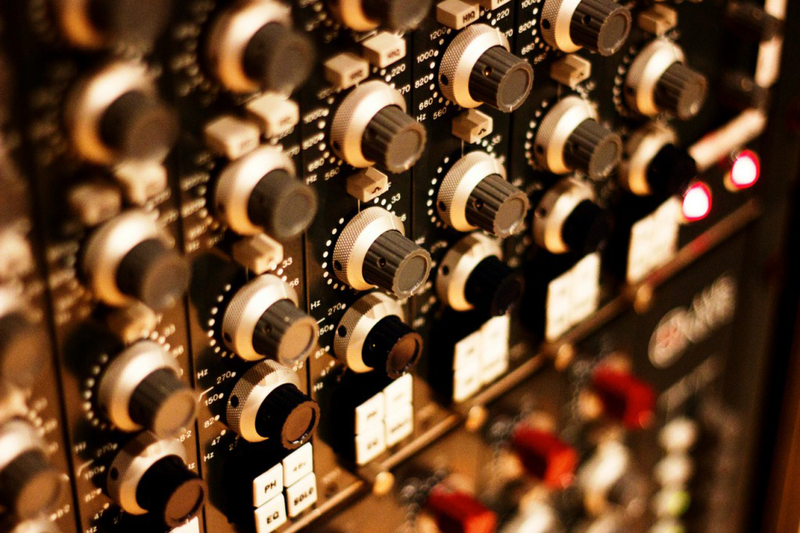 The kits were recorded at 88.2khz/24bit (provided as 44.1khz/24bit and 88.2khz/24bit), pre-phase aligned kick drum mics and are available for Kontakt (version 5.10.6066 or higher. Kontakt Free Player is currently not compatible), Slate Digital Trigger and WAVs. Please note these samples are Kick, Toms & Snare only. On average there are 10 hits per velocity and 10 velocity layers. We also added 3 left kick pedal hits for the three highest levels and 3 rimshots layers which we advise using for hardest hits. There are 5-6 velocity layers for the toms. Buy the Sphere samples and our other Middle Farm samples pack together and save £10. Click here for the bundle. The samples are also available to buy as individual groups. For example just the kicks or just the snares. Click here for more information. A recent review of the Sphere samples for BFD describes "The snare is worth the purchase price alone!"